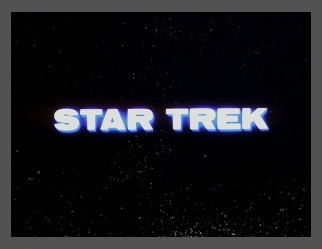 This was Gene Roddenberry's first attempt to sell Star Trek to NBC. They turned it down! But, in an unprecedented move, they asked Gene to make another pilot and with that episode, 'Where No Man Has Gone Before', the series sold. Thirteen years before James T. Kirk takes command of the U.S.S. Enterprise, Captain Christopher Pike and his starship crew receive a distress signal from the planet Talos IV and beam down to investigate. Tracking the beacon, the landing party discovers crash survivors from a missing scientific expedition; among the survivors is a beautiful human female, Vina. Pike is concerned for the woman's safety, yet allows himself to become distracted by her beauty and is subsequently captured by the Talosians who live beneath the planet's surface. The distress signal and expedition survivors, except for Vina, are revealed to be but illusions created by the Talosians to lure the Enterprise and Pike to the planet. The Talosians are a strong race, yet after decades of illusory indulgence, they have physically atrophied and need sturdy beings to rebuild and repopulate their barren planet. In Pike, with Vina, the Talosians hope they have finally found the one being who can serve as their breeding stock for a healthier and even more powerful race. The Talosians use their power of illusion to interest Pike in Vina, presenting her in various disguises: a Rigellian princess in distress, a green Orion animal woman, and a loving, compassionate companion. When Pike resists, the Talosians lure Pike's female first officer and yeoman from the Enterprise to offer further temptation. By then, however, Pike has discovered that primitive human emotions neutralize the Talosians' ability to read minds, and he eventually escapes to the surface of the planet along with his fellow prisoners. The Talosians confront Pike and the three prisoners before they can beam up, but the captain refuses to negotiate, threatening to kill himself and the others rather than submit to the Talosians' demands. Frightened at losing their only source of repopulation, the Talosians inspect the U.S.S. Enterprise's records and discover that the human race is far too independent to be of adequate service to them. Faced with no other choice, the Talosians release the humans. After the first officer and yeoman beam up, Pike remains behind with Vina, urging her to leave with him. Despite her growing attraction to the captain, Vina is unable to leave the planet. It is revealed that an expedition had indeed crash landed on Talos IV. Vina, the only survivor, was greatly injured and disfigured. With the aid of the Talosians' illusions, however, she is able to appear beautiful and feel healthy. The Talosians pledge to continue to provide Vina with the appearance of health and beauty while allowing her to roam the planet free of intervention. Realizing that she will be in good hands after all, Pike returns to the U.S.S. Enterprise. The Talosians, in an act of good will, send the captain an image of Vina on the starship's viewscreen. Not only is she beautiful again, aided by the Talosians' illusory powers, but by her side is another illusion — that of the handsome Christopher Pike. The Doc is right about that! he took command of a starship. Pike sounds like a bit of a whiner to me. Bizarre name for this character. How do we know he's from Earth? There are thousands of other planets he could be from! Yes, I know it's just a TV show! Spock is very emotional in this episode. to be without emotions when first written. Well, now we know he has a temper! Now we know where Captain Picard got the saying!